Launching a new website? Learned SEO in a hurry? Don’t know how to measure what works and what doesn’t? You’ve come to the right place. Both webmaster tools are completely free. They are part of an industry standard for exploring the SEO structure and backlink profile of a site you own. Every webmaster should be using them! SEOmoz is a toolkit marketed primarily to independent SEO professionals starting out their careers. SEOmoz’ best feature is access to a web forum used by more experienced SEO professionals and other SEOmoz users. Many SEOs start out using SEOmoz and then upgrade to more professional toolkits once they have some experience under their belts. 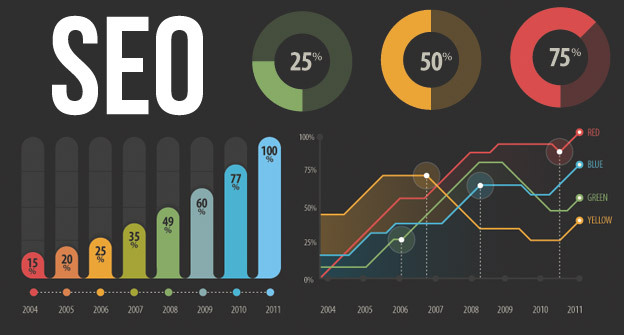 SEOmoz gives you the bare essentials to track your keywords’ success. It uses custom cookie identifiers for major search engines (Google, Bing, Yahoo, and Baidu) and your sales data to calculate a conversion rate for your keywords on different search engines. This is about 80% of what you need for SEO planning. As a nice bonus, SEOmoz has great tools for backlink analysis and runs automatic crawls to check your SEO on a weekly basis. Ahrefs is one of the most focused tools out there. It is the best-in-class web tool when it comes to finding the backlink profile of competitor’s web pages (the best tool for finding your own backlink profile is Google Webmaster tools). This is helpful for strategic SEO planning. However, Ahrefs does not include the same variety of tools as other programs. Ahrefs cannot continually monitor your overall SEO situation, or track the conversion rate of your keywords. AHrefs should only be used in addition to other tools, and only for advanced strategic planning. AdLuge is an SEO and lead tracking suite for intermediate marketers, especially those working in teams. It offers robust project management and teamwork support not found in any of the other tools described above. The best-selling point of AdLuge is that, unlike SEOmoz and Ahrefs, there is no limit on the number of campaigns, keywords, link checks, etc. that you can perform per month! AdLuge also provides a more comprehensive toolkit than other web-based SEO tools. It includes more advanced versions of SEOmoz’s tools, like conversion rate calculators and automatic reports. However, where AdLuge stands out is the integration of your SEO data with your advertising data and sales data. AdLuge monitors all channels that leads take to get to your site. Then, it calculates the cost per lead for all your marketing expenses. The result is a running summary of where all your marketing budget is being spent and what it is doing for you. As an added bonus, AdLuge integrates with Google Analytics to give you all the data you need on a single dashboard. Using these tools can help bring clarity to your online presence. There is a satisfaction in eliminating the guesswork in your online presence! AdLuge acts as a home-base for all internet marketing and search engine optimization efforts. Integrating these metrics into your lead data make opportunities much more transparent. Someone looking to tie in their SEO, Advertising, and lead management efforts can find their perfect solution in AdLuge. Of course, the more tools in your toolbox the better! I didn’t know actually know that there that many SEOs out there, but I will definitely be checking some of them out. Thanks for the tips. Honestly, measuring SEO performance is like a pain area for me. But, I know, I have to work on it. I still adhere to the principle that one can’t manage what one can’t measure. welcome to Chennai’s Best Dental clinic with Chennai’s best dentist as consultants treating all dental problem. The dental Hospital Provides root canal treatment,implant dentistry,crown fixing,orthodontics,endodontics,child dental care,elderly dental care ,laser dental treatments,sedation dentistry,microscope dentistry and all maxillo facial surgical cases like trauma etc.